With our years of experience & in depth knowledge in this field, we are engaged in offering a quality-assured array of Rotopactor Machine. Our in-depth knowledge and industrial experience allow us to manufacture and supply a distinguished array of Rotopactor Machine. - Widely used in industrial sector for crushing of stones. We are one of the well-known manufacturer, supplier of Rotopactor Machines. The offered rotopactor machine is made by utilizing high-grade raw materials, sourced from very reliable vendors, in the market. Our supplied rotopactor machine is available at very economic and affordable market selling price. Our executives persevere hard for patrons and thus provide Rotopactor Machine. Riding on unfathomable volumes of industrial expertise, we are providing a broad array of Rotopactor Stone Crusher. 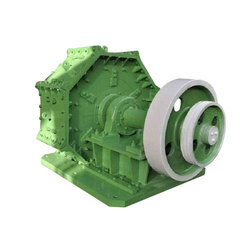 Relying on our expertise in this domain, we are engaged in offering Rotopactor Crusher to our respected clients. 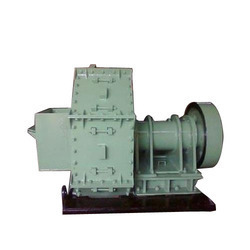 Our company has sculpted a remarkable place in the market as a reputed manufacturer of the qualitative range of Rotopactor Machine. Our Rotopactor, basically a rotary crusher used in the secondary or tertiary stage of a stone crushing plant, is the ultimate weapon against flakiness. Abhishek Enterprises, leveraging on its robust manufacturing facilities, manufactures a quality assured range of Rotopactors. The rotopactor discs are specially designed for manufacturing of sand from grit with efficient results.